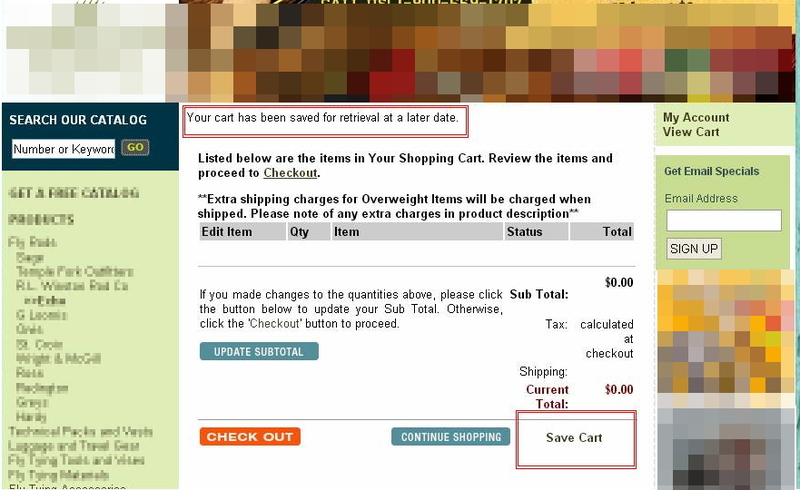 adds a save cart link when you click on “View cart”. Adding this code on your default.html page, adds the link “Load saved cart” on the left side navigation panel. To add the same link on the right navigation panel, see code below. 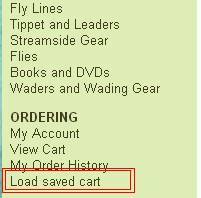 Clicking the “Load saved cart” link loads the cart that you have saved. 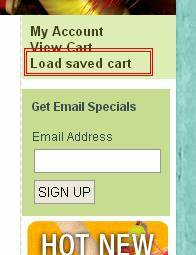 adds a View Saved Carts option when the user clicks on “My Account”. Feel free to try these options when you log in on the website. Note: To make cosmetic changes (e.g. customizing the design of your buttons and banners to match the theme of your link/website), please contact your web designer.